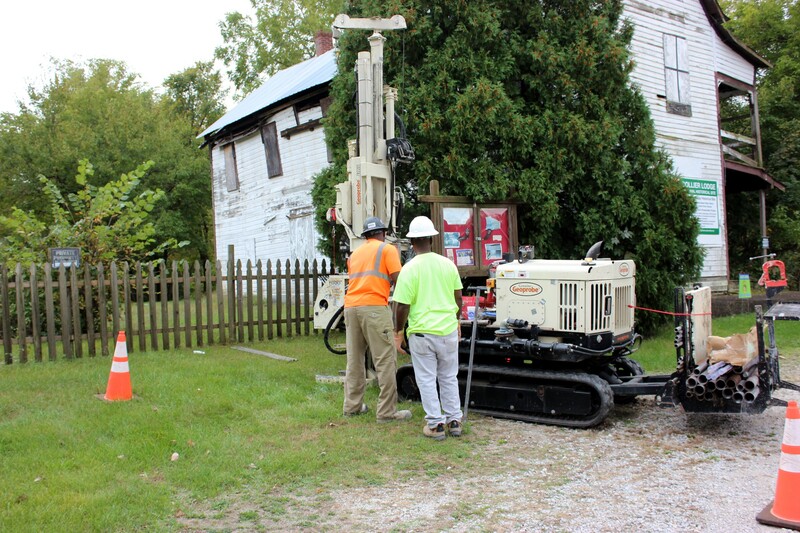 Sam Snell and Kennita Jones were looking for different things as they examined soil borings extracted outside of Collier Lodge this week. 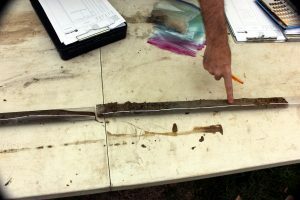 Snell, an archaeological principal investigator with Indianapolis-based Metric Environmental, was looking for signs that the borings had gone through archaeological remains, such as broken glass or pieces of pottery or arrowheads. Jones, an environmental geologist with Metric, was checking soil types, to determine how any environmental hazards from an underground gasoline storage tank might travel, and signs of contamination from the tank, such as stains or odors, which she didn’t see. 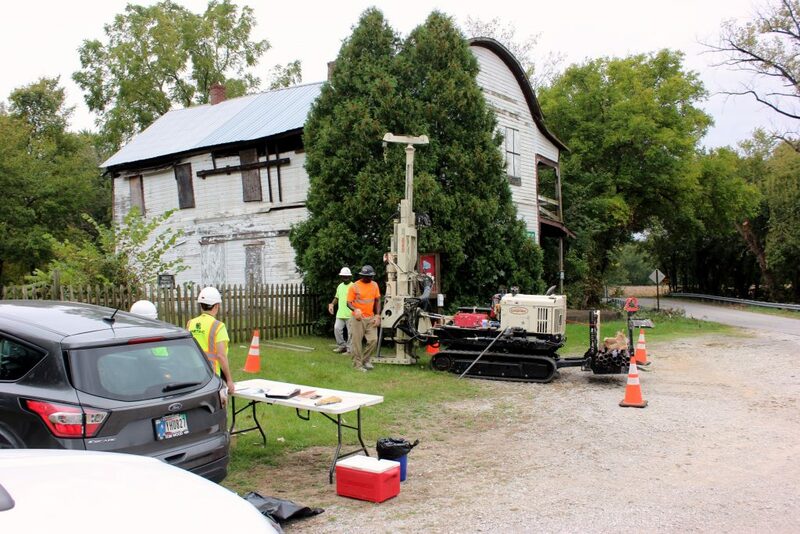 The soil borings, extracted Tuesday, are another step in bringing the restoration of Collier Lodge, a former hunting lodge along the bank of the Kankakee River near Kouts, to fruition. “This is one step but this is an important step,” said John Hodson, founder and president of the Kankakee Valley Historical Society, which is undertaking restoration of the lodge. 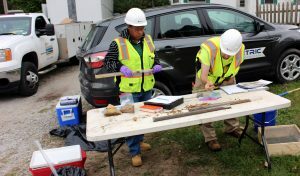 Environmental and archaeological reviews, since artifacts from 9,000 years ago have been found at the site, which is on the National Register of Historic Places, are required for a grant application to the Indiana Office of Community and Rural Affairs’ blight clearing program, said Tina Rongers, the grant administrator who’s working with the Kankakee Valley Historical Society to salvage the lodge. The grant, which would require a match from the historical society, would tackle several tasks at once, said Rongers and Hodson. 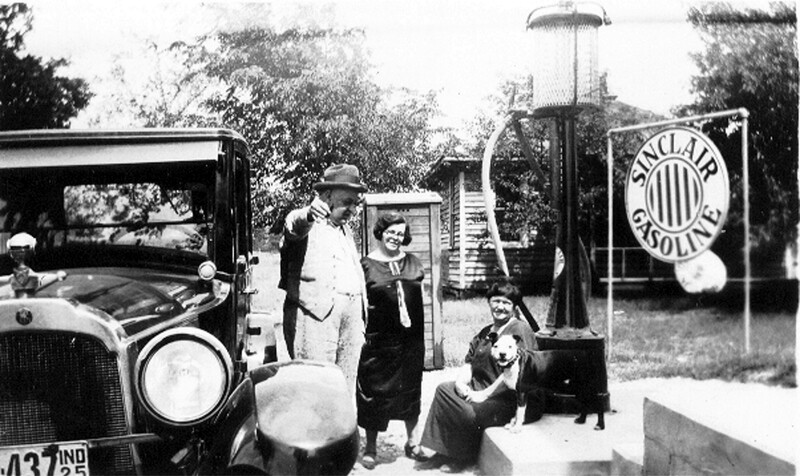 It would provide funds for environmental remediation, if necessary, from the underground gasoline storage tank from a former gas pump on the site but more importantly, would allow the lodge, constructed in 1898, to be deconstructed and cleaned of lead paint and other potential hazards so it can be restored for the future. The removal of the lodge, said Hodson, also would allow for archaeological exploration under the structure.“We know that’s got to be a really great spot,” he said. Officials don’t know the exact amount for the grant yet, Rongers said, but such grants typically require a 10 percent match with local funds. 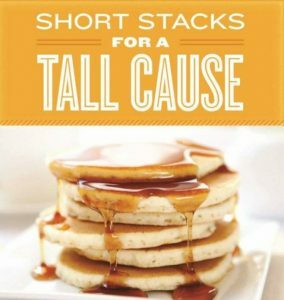 Toward that end, the historical society is hosting a pancake breakfast from 7 to 11 a.m. on Oct. 20 at the American Legion Post 301 in Kouts, during which Hodson will provide project updates. More information on the breakfast can be found at www.eventbrite.com/e/aukiki-flapjack-breakfast-fundraiser-tickets-49352169668?aff=ehomecard. The historical society will again be working with the Porter County Board of Commissioners for the grant application because commissioners would serve as the fiscal agent for the funds even though the county will not be providing money toward the grant, Rongers said. The soil borings are for the environmental review, Hodson said, adding an archaeological review, likely conducted by Mark Schurr, a University of Notre Dame professor who has overseen digs on the grounds, will follow. “We have to get all of our ducks in a row here and right now, we are,” Hodson said.